This superb letter opener truly is a desk accessory of rare beauty. Its sleek, elegantly curved design is complemented by a fine quality silver plated finish, giving the look of a single metal drip. But as well as good looks, this letter opener is also highly practical - while it does not feature a sharpened blade or point (a great safety benefit) it still cuts through envelopes and wrapping with a vengeance. The silver plated body of these designer style letter openers is perfect for engraving, and they make exceptional branded corporate gifts or merchandise items. 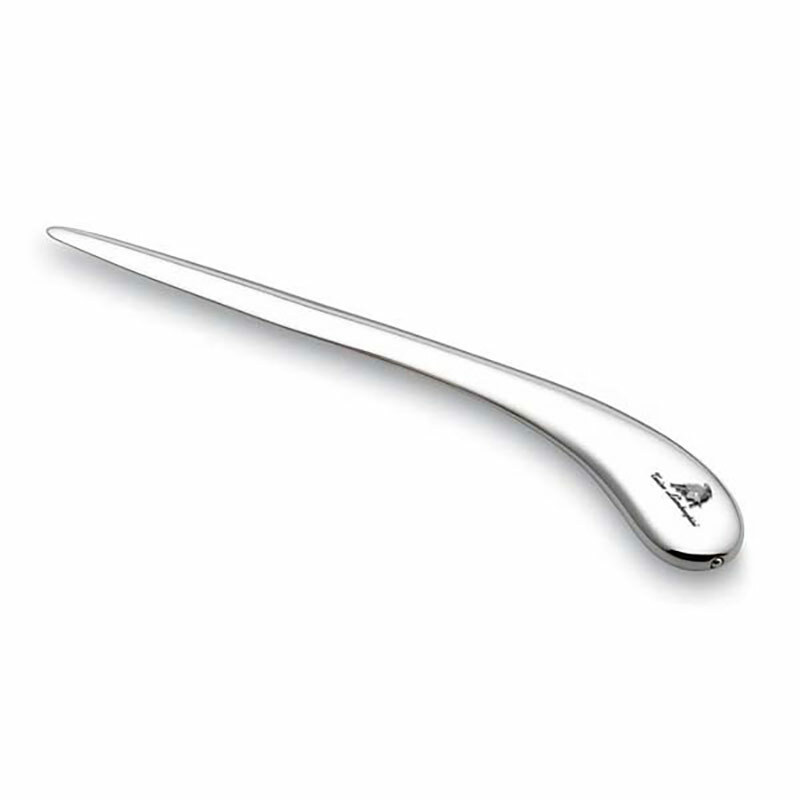 The stunning looks of this letter opener is sure to get your brand or name noticed! Offered with free engraving of text and logos from Business Gifts Supplier.